Hello great people! Are you enjoying the day? For today, I have something that you will find interesting. 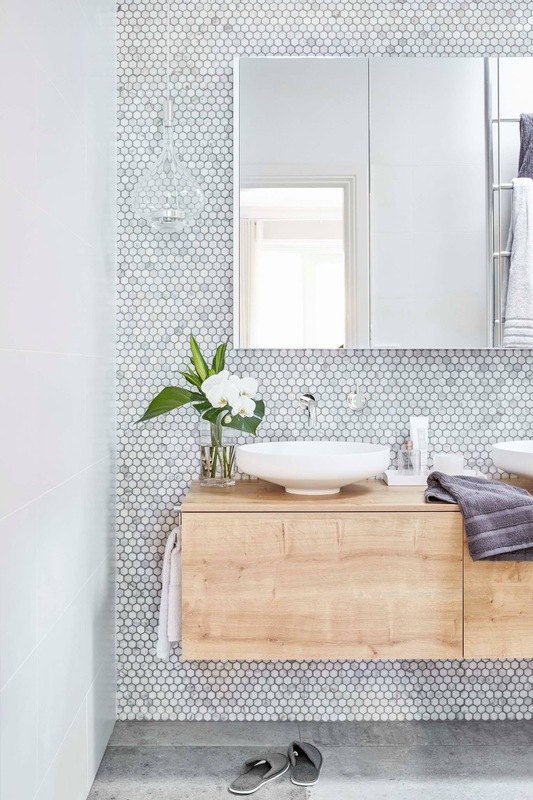 Are you feeling confident about experimenting with different styles of tiles in the bathroom? If you really do, then this thing is going to blow your mind. 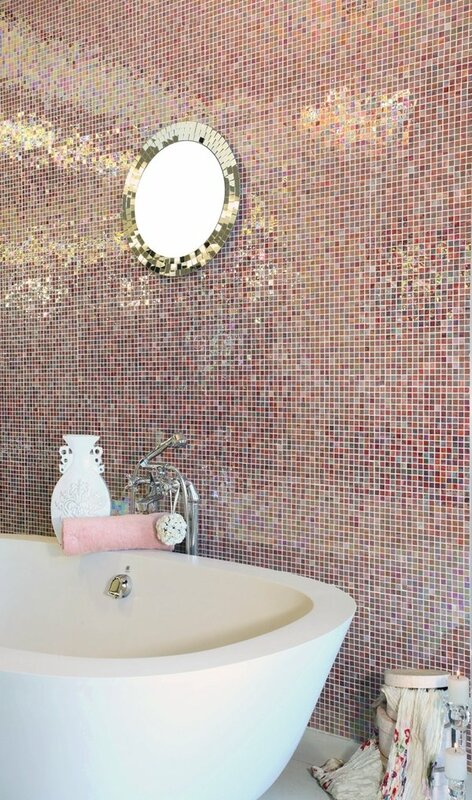 Ever thought about mosaic bathroom tiles? Read on and find out more about this one! 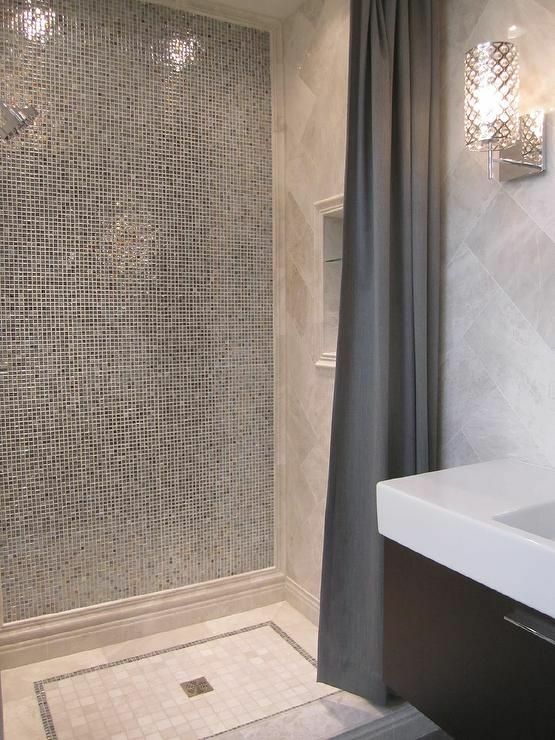 Seems like mosaic tiles are a huge hit. 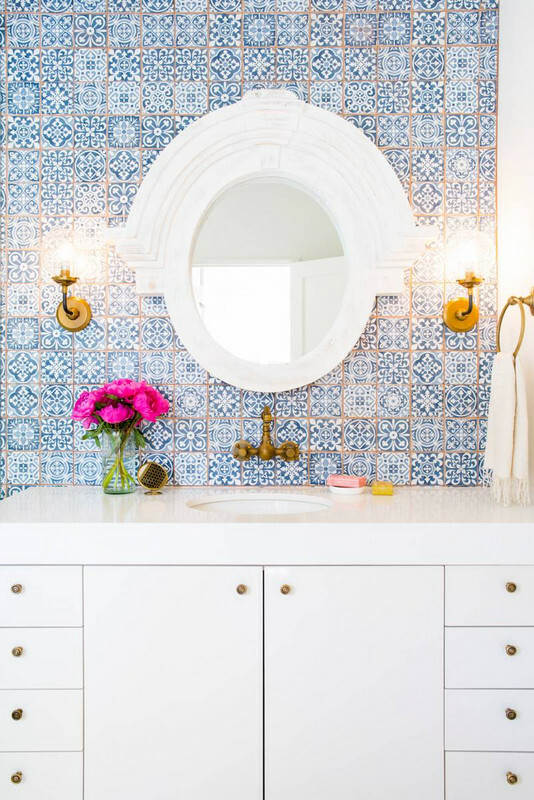 If you don’t want ordinary and boring tiles, then you must give this one a try. There is something special about it. 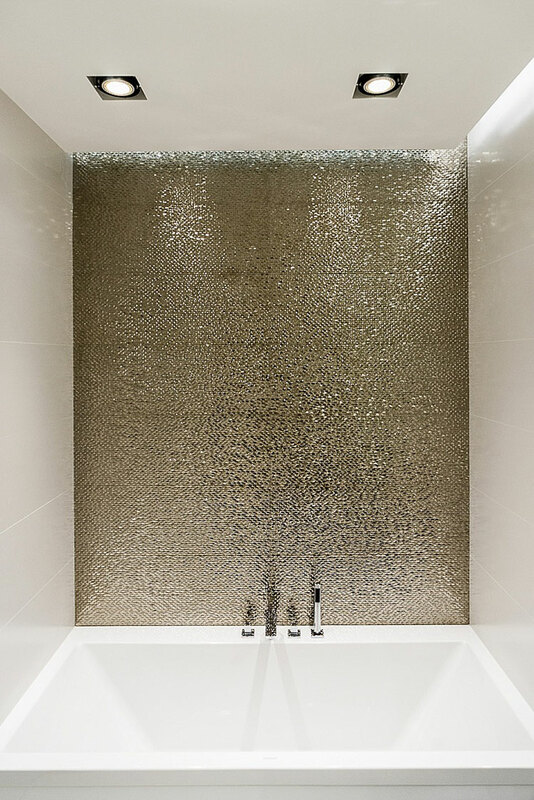 Mosaic brings texture, as well as visual interest in the space. It brakes down the monotonous look, and makes an eye-catchy statement in the same time. 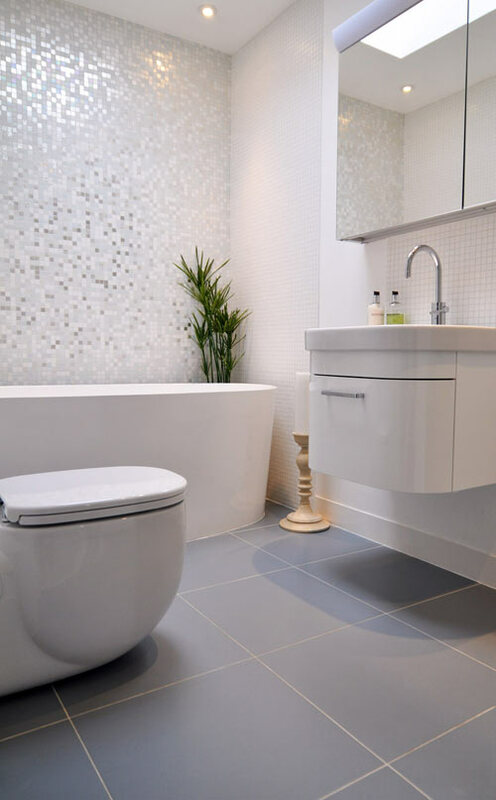 Using a combination of ordinary tiles and mosaic tiles is a great idea. By incorporating the mosaic in portions, you will achieve a subtle look. If you want to achieve an interesting look while avoiding to play with color, you should follow a small trick. Use tiles that have different finish. By keeping the same color, while having different texture you will end up with fascinating result. 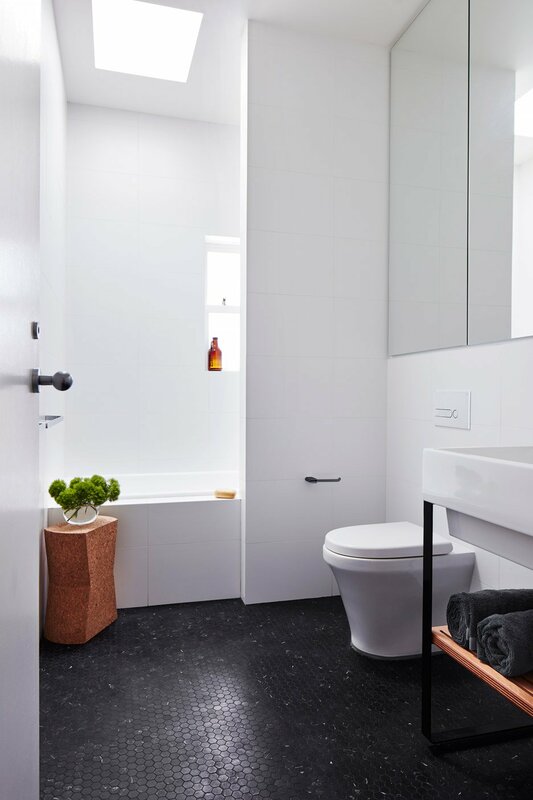 Use matte, shiny and rough tiles to create contrast. Just as the one below! Want to go for an elegant and luxurious look? 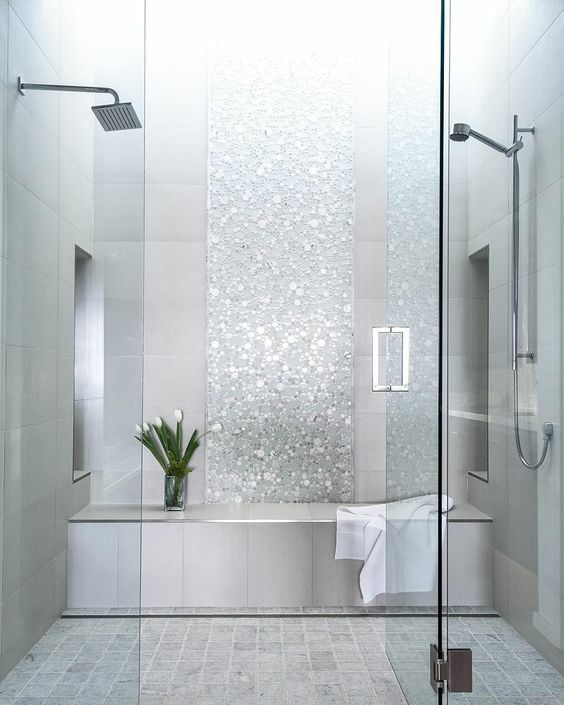 Use shiny tiles with metallic finish. These ones will look fabulous. Also, you can go for a satin finish, which is very popular too. 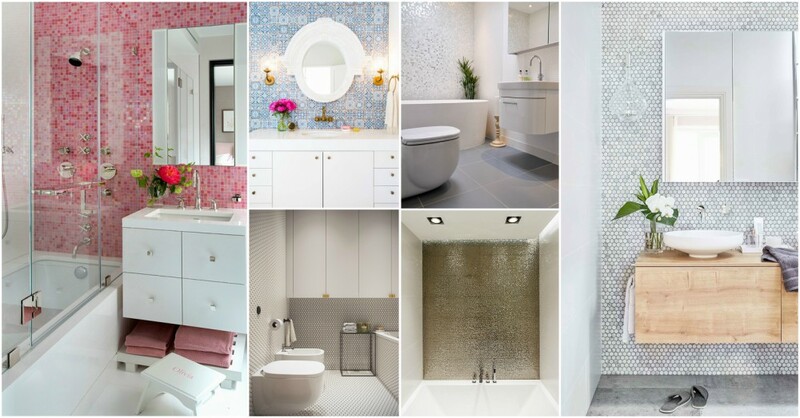 Find the thing that will best suit your bathroom. 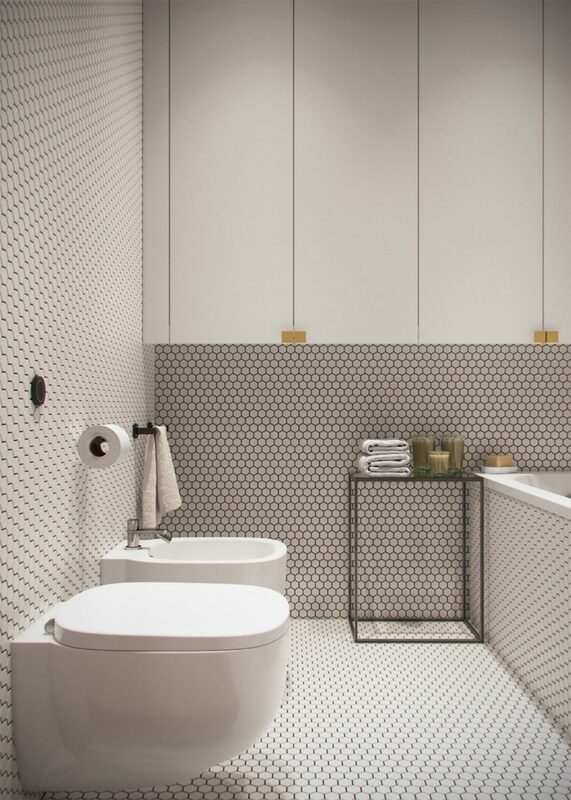 Hexagon shape is a huge hit in bathroom tiling. 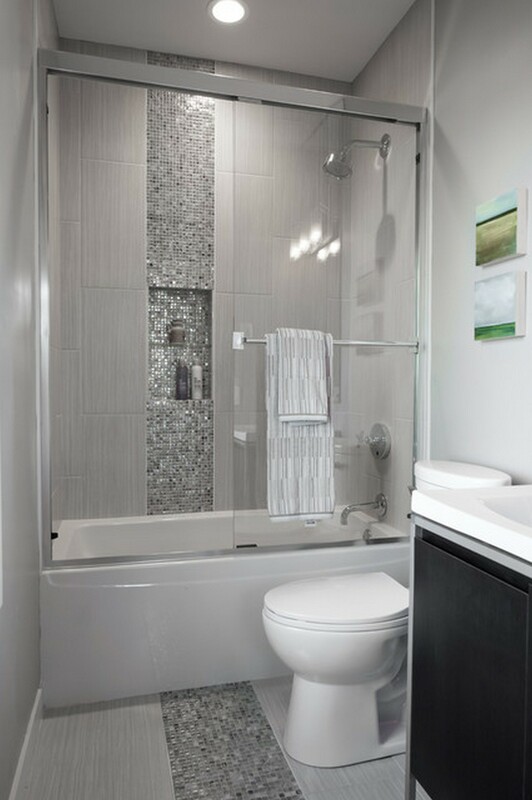 It is something different and unusual, that will give your bathroom that contemporary look.